After a long drive from our shop in Twin Oaks, Oklahoma, we arrived in Lake Helen, Florida, to install new church pews in the sanctuary at the Mount Zion Baptist Church. Lake Helen has an interesting history as a town. It was founded in 1888 by Henry DeLand, a baking soda tycoon who also founded the nearby town of DeLand. He eventually lost his fortune on losses in the orange industry in Florida but left behind a great legacy. Named after DeLand’s daughter, Lake Helen was a resort town with two hotels. It aimed at attracting New Englanders trying to escape the harsh winters for some sunshine and grew as more and more people decided to settle in the area. However, the “big freeze” of 1894-1895 drove many people away after they lost their citrus crops to the weather, and Lake Helen never quite recovered. Now a sleepy little town full of beautiful Victorian architecture, it’s at the crossroads for many commuters who travel to the larger nearby cities for work. You can look at some great historical photos on the City’s website of what Lake Helen looked like in her prime, as well as photos of today’s Lake Helen. You’ll notice that these buildings highlighted in the City’s photos have long wrap-around porches, woodworking details throughout the design, and traditional flat white paint. It’s only fitting the pews that Mt. Zion Baptist Church selected reflect this same style, with traditional lines and colonial white paint. They share a clear resemblance with the buildings of Lake Helen, highlighting the Floridian twist on 1880s and 1890s style architecture. 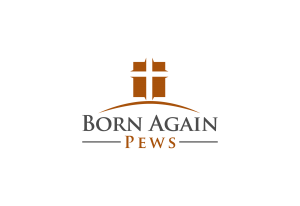 Born Again Pews will be happy to help you to choose pews that will harmonize with the style of your church and community.